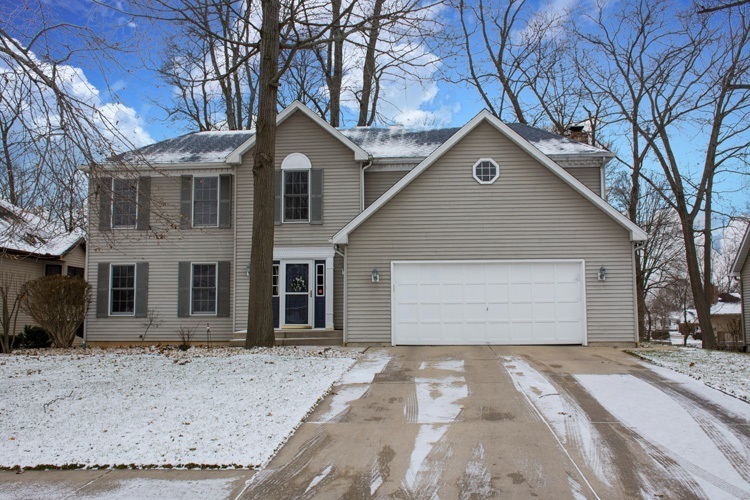 Wonderful two story home, situated on the St. Joe River Channel! This home features 4 bedrooms and 3.5 baths. Enjoy this wonderful open floor plan and the hardwood floors throughout the main level. Gourmet eat-in kitchen opens to family room with brick fireplace granting access to the large outside deck. Second level master with separate shower, whirlpool tub and walk-in closet. Second level also has three additional bedrooms and a full bath. Finished walkout lower level is just as bright offers even more excellent entertaining avenues including family room, bar and additional full bath! Spectacular outdoor spaces perfect for relaxing and enjoying the peaceful surrounds in the lush landscaped and views of the river. Call for your private showings today!! Directions:East on Lincolnway to Vistula, North onto N Oakley, Left onto S Shore Dr.